Still no home internet - we're going on month two now, so we're borrowing a friend's internet to do a little emailing, uploading, and downloading. Unfortunately that means not much time to write here - so I'll leave you with a recipe inspired by our recent trip to Stockholm. 1. The dough: Mix the cardamom with milk and heat until scalding. Let cool to just warm. Crumble the yeast into a bowl and pour the milk over and stir until the yeast bubbles. Mix in sugar, salt, butter and eggs. 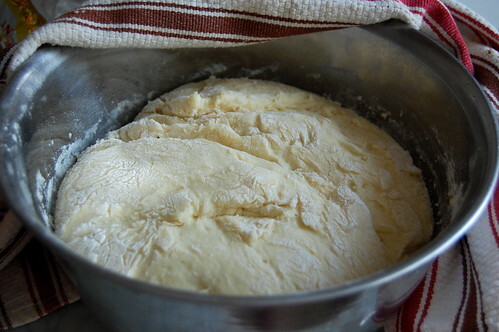 Add a little flour at a time and work until you have a smooth dough. 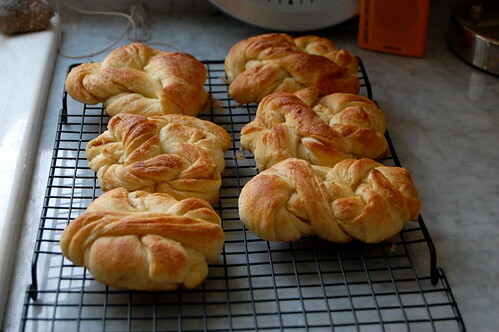 Let rise about 50 minutes under a kitchen towel. 2. Filling: Mix butter, sugar, cardamom and cinnamon. 3. 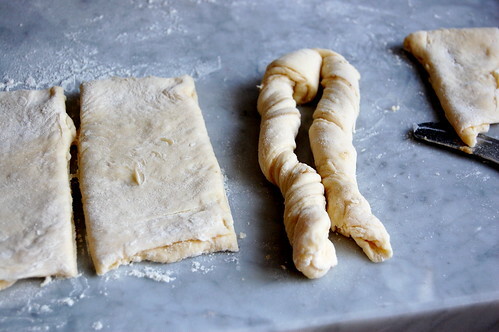 Divide the dough in half and roll out half at a time to a rectangular shape. 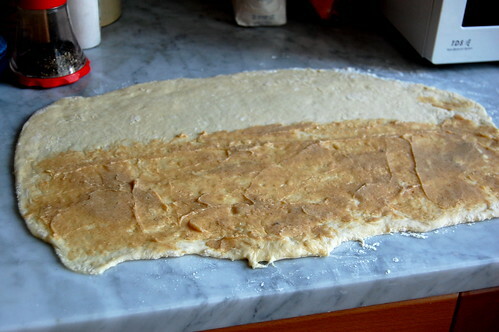 Spread half of the dough with half the butter cream (it will be thick). Fold the long sides together and cut into 4 cm wide long rectangles. Make a lengthwise slice up the rectangle, but don't cut all the way through the top end (basically you have two "legs" connected at the top. Spin the "legs" in opposite directions until they're very twisty. Tie the legs into a knot, as prettily as you can manage. Hide the ends under the bun. 4. 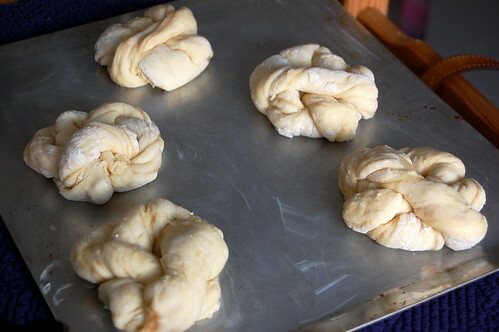 Place the buns on papered sheet and let rise another 40 minutes. 5. Preheat oven to 400 degrees F (200 C). 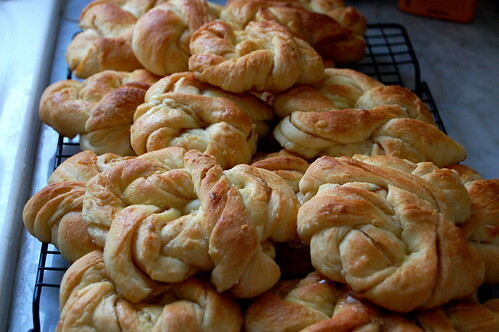 Brush the buns with beaten egg and bake them for about 15-18 minutes until golden brown. I tasted something just like this on my visit to Sweden in July. Unforgettable! Thanks for the recipe and demonstration. I hope to make these very soon!